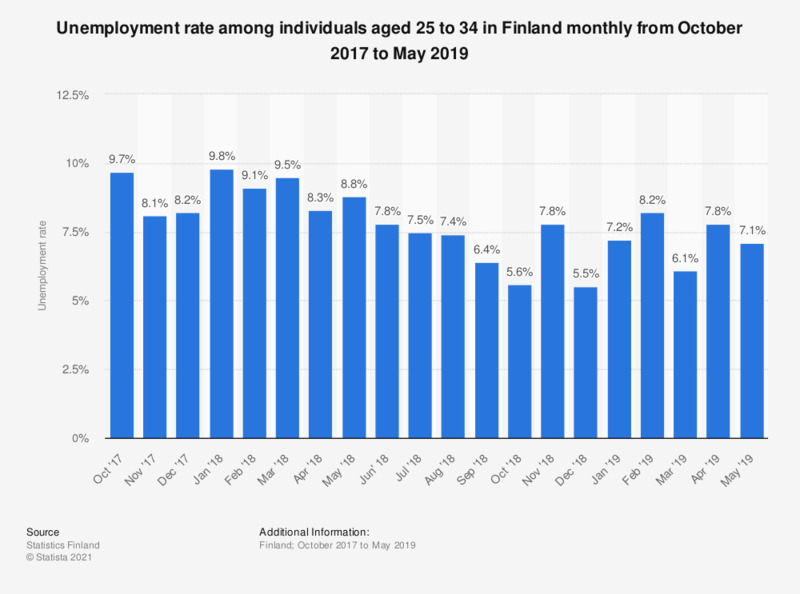 The statistic shows the monthly unemployment rate among individuals aged 25 to 34 in Finland from October 2017 to October 2018. The monthly unemployment rate of the respective age group peaked at 9.8 percent in January 2018. The corresponding figure in October 2018 was 5.6 percent.